(Ducks and Geese Exploitation - Down - 03) The coldhearted and cruel down industry often plucks geese alive in order to get their down— the soft layer of feathers closest to a bird's skin. These feathers are used to produce clothing and comforters, but for geese and ducks, the down industry's methods are anything but comfortable. 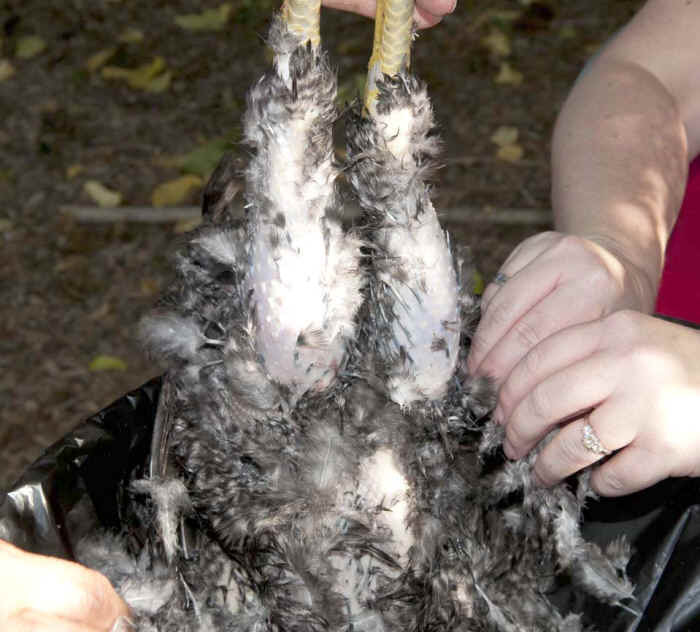 Live plucking causes birds considerable pain and distress. Once their feathers are ripped out, many of the birds, paralyzed with fear, are left with gaping wounds—some even die as a result of the procedure. Workers often sew the birds' skin back together without using any anesthetics.